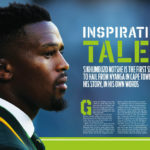 Sikhumbuzo Notshe is the first Springbok to hail from Nyanga in Cape Town. This is his story, in his own words. 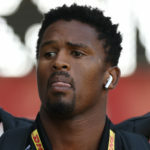 Sikhumbuzo Notshe will play a similar role to that of the injured Warren Whiteley when the Springboks face the Wallabies’ breakdown bandits on Saturday. JON CARDINELLI reports from Port Elizabeth. Western Province coach John Dobson says he ‘could not be happier’ for Sikhumbuzo Notshe, who will make his first start for the Springboks on Saturday. DYLAN JACK reports. 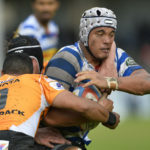 Western Province coach John Dobson says this season could be the making of No 8 Juarno Augustus, who will start their Currie Cup opener against the Free State Cheetahs. DYAN JACK reports. 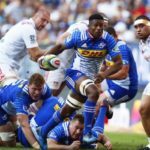 Sikhumbuzo Notshe will make his 50th appearance for the Stormers in one of four changes to their starting lineup to face the Lions at Newlands on Saturday. 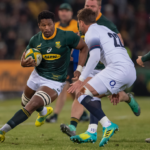 Stormers and Western Province loose forward Sikhumbuzo Notshe will join the Blitzboks ahead of the upcoming 2017-18 World Rugby Seven Series, writes CRAIG LEWIS.